Software Skills Training, Inc. (SST) is a leading provider of task-oriented training courses for IT professionals. Our task-based training philosophy is focused on saving you time and assuring that you are able to work more productively and with higher quality results after training. 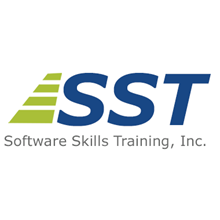 Founded in 2000, SST has delivered high-powered training to tens of thousands of IT professionals. We guarantee the overall quality of our courses with a 100% money-back guarantee. If any student is not totally satisfied for any reason, they can withdraw before the second day of class. Notify the instructor and return all course materials and receive a 100% refund.